To quote my favourite lady of fashion, Jenna Lyons - treating leopard print as a neutral opens up so many possibilities. A simple print that these days comes in so many colour/size variations and mixes well with other prints - see more in my Mixing Prints post. Now while i love this statement print, i do find there is a fine line between chic style and looking like Pat Butcher (for those not familiar, she was a character in the British soap Eastenders who had some very interesting taste in clothing and earrings - give her a google so you know what to avoid). 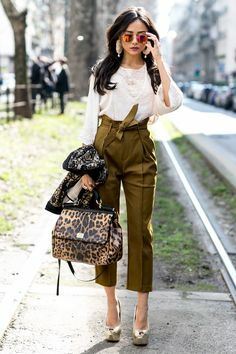 My personal preference is to add leopard to my outfits through accessories (love the scarf and green leather jacket combo) and shoes, especially stylish in a simple slip-on sneaker or classic ballet pump, but below are some of my favourite Pinterest images of ways to incorporate a touch of the jungle into your wardrobe. A statement jacket is a great way to embrace the print, especially when teamed with a simple uniform of a white or grey tee and denim or to add some detail to an all black outfit with a striking winter coat. 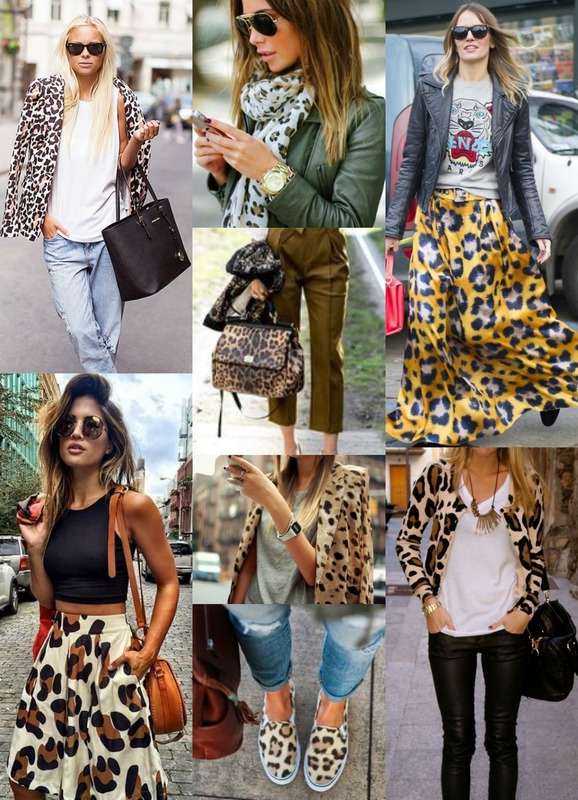 If you like something a little bold go for a skirt - i love the yellow print maxi and Kenzo tee, look above - not a combination i would have ever thought of but looks so chic but giving the print a rock/biker chick edge, plus i haven't seen much yellow leopard before, have you?